Mary has been in the food and beverage industry for over 25 years. She started her career with Anheuser-Busch, Inc. then went on to join Mission Foods giving her extensive expertise in HACCP, BRC and SQF. She holds a bachelor’s degree in Biological Sciences with concentration in Microbiology from Rutgers University. She has a Six Sigma Green Belt and Certified Quality Improvement Associate certification from American Society of Quality and numerous other certifications for HACCP and Food Defense. What spice are you and why? Chili Pepper because I am a hot blooded islander. With over 25 years of experience at AAS, Joe Gallagher has worked with a variety of restaurant chains, food processors, and private label retail entrepreneurs, assisting them in every facet of their products’ evolutions. Joe enjoys most the unique ability that AAS has to closely partner with all of their customers to provide them with exactly what they need to take a product from inception to a successful launch in the market place. Outside of AAS, Joe enjoys hiking, skiing, working in the yard, and rooting on the local sports teams. I am coriander. I’m the spice in Belgian style wheat beers that all the hipster wannabes like to drink. Without coriander this beer would taste like watered down orange juice. With 20 years of customer service experience Amber is committed to the All American Seasonings mission of providing the best customer service. Since 2013 Amber has developed relationships with our costumers resulting in great partnerships. Whether it’s a small local order or a large time critical shipment Amber will go above and beyond to “get it done”. In her spare time she enjoys 4-wheeling, DIY projects and hanging out with family and friends. 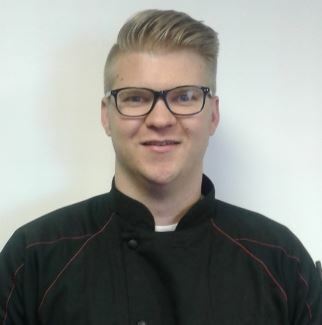 With over 5 years of industry experience and a Master’s Food Science from Kansas State, Will has the skills, knowledge, and proficiency to develop, reformulate or match any product your company dreams up or requires. Before arriving at All American Seasonings, Will worked at Glambia Nutritionals, Focusing on functional and value added ingredients. When not developing delicious new formulas, Will can be found DJing events around Colorado, Working on/racing his cars or skiing. I’m Cinnamon. I’m strong but sweet and firmly planted like the tree I come from. I wouldn’t know what to do if my car, house or clothes didn’t smell like spices. I guess you could call me “ The Guy with the Smelly Briefcase” . As the 3rd generation President of All American Seasonings, I have been surrounded by the sweet, pungent, bitter, fiery taste of spices my entire life. I’ve been blessed to have a great family, and work with wonderful people. When not smelling the aromatic scent of my office, you can find me climbing the hills of Colorado on my road bike/mountain bike, golfing with my family, or lounging on a beach. Mint. This herb is extremely versatile, tenacious, resilient, and best of all, it makes a great refreshing Cuban Mojito. Sam is a Colorado “Native” and a graduate of Metropolitan State College. He has been with AAS since 2011 and has over 15 + years of management experience. In his spare time, he enjoys sporting events, fishing, camping and riding motorcycles. I’m Crushed Red 40HU, palatable to the taste with just enough “kick” when needed!